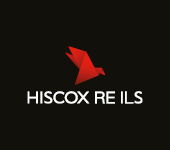 Kiskadee Investment Managers, the insurance-linked securities (ILS) fund and reinsurance linked investment strategies unit of Hiscox Re, has more than doubled its assets under management during 2015 to near $850m of ILS assets managed at the January renewals. Insurance and reinsurance group Hiscox has been increasingly benefiting from the efficiency gained through its growing third-party capital and ILS fund activities at Kiskadee which help the company to offset market pressures. The assets managed by the Kiskadee unit have been steadily rising, more than doubling over the course of the last year from $400m at the January 2015 reinsurance renewal and now reaching $850m at the recent January 2016 renewal season. By September 2015 Kiskadee reported reaching $600m of assets under management, but the manager has seen ongoing strong support from its investor base helping it to raise another $250m for deployment at the January 2016 renewal, representing approximately 42% in asset growth in just the last quarter of the year. Of the total $850m of ILS assets managed at Kiskadee, approximately $750m are almost evenly split across the two flagship Kiskadee ILS funds, the Kiskadee Diversified Fund and higher risk/return Kiskadee Select Fund. The remaining roughly $100m is allocated to Kiskadee’s new special purpose insurance vehicle, Cardinal Re, which the ILS investment manager launched in September 2015. The additional scale in terms of capital managed helped the Kiskadee investment team to take larger participations on programs and risks already in the portfolio, as well as sourcing some new risks to add to the portfolios size and diversity. At the January renewals Kiskadee added around 40 new programs to its portfolio. The additional underwriting added using the newly raised capital is even more significant when you consider that Kiskadee’s capital structure takes advantage of Hiscox Re’s balance-sheet fronted leverage, meaning each dollar of capital managed equates to underwriting approximately two dollars of reinsurance limit. The Kiskadee funds achieved impressive performance for 2015, with the lower risk Kiskadee Diversified Fund seeing a net return of 6.56% for the year and the higher risk/return Kiskadee Select Fund 11.12%. This despite being exposed to a number of the loss events that impacted some of the ILS funds during 2015, including Tianjin, U.S. tornadoes, Australian severe storms, winters storms and snow in the U.S. and flooding in the UK. Despite this the diverse portfolio selection has ensured that the Kiskadee funds have provided their investors with attractive returns for the year, demonstrating that portfolio management can enable ILS funds to access attractive returns from risks, even when attritional events occur throughout the year.